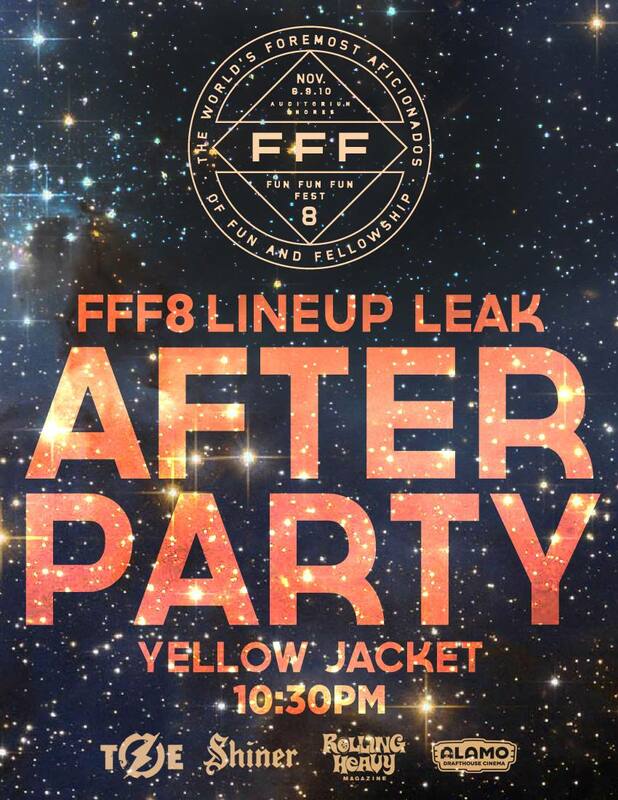 The final line-up leak for FunFunFun Fest 2013 will happen this evening in a live event setting. 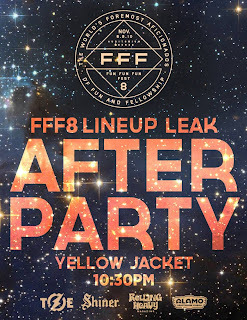 It bears noting that the last PR e-mail I received for tonight's event specifically says, "...the Fest will announce a large portion of the 2013 lineup." So, don't be disappointed because the full line-up won't be reveled until tomorrow (Wednesday, July 10th at 10am Central) when tickets go on sale. 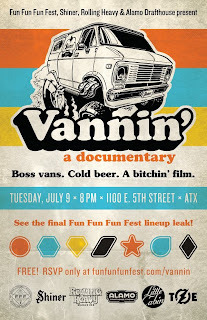 Vannin' - A Documentary Trailer from Little Cabin Films on Vimeo. 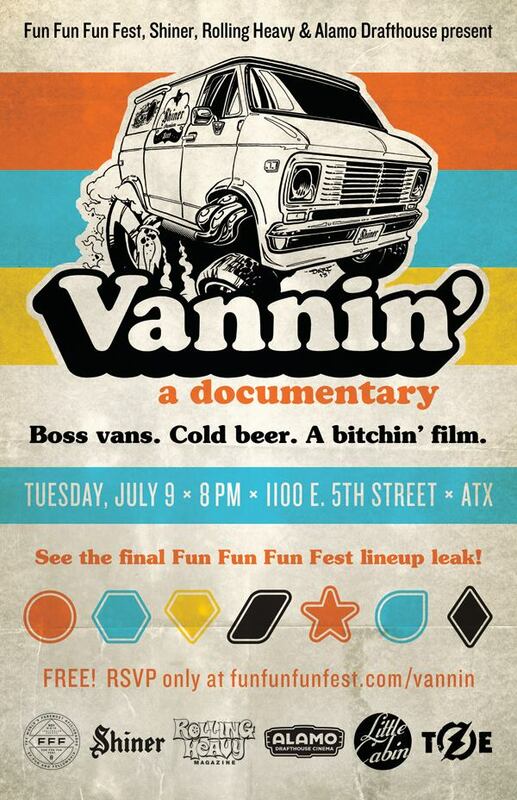 The Vannin' party at 1100 Warehouse goes from 8:00p - 10:30p, which is precisely when the after-party starts at Yellow Jacket Social Club. Given that this event will most likely have free beer, you should probably get in line at least an hour before doors. Also Kebabalicious is going to be there. So, yeah. 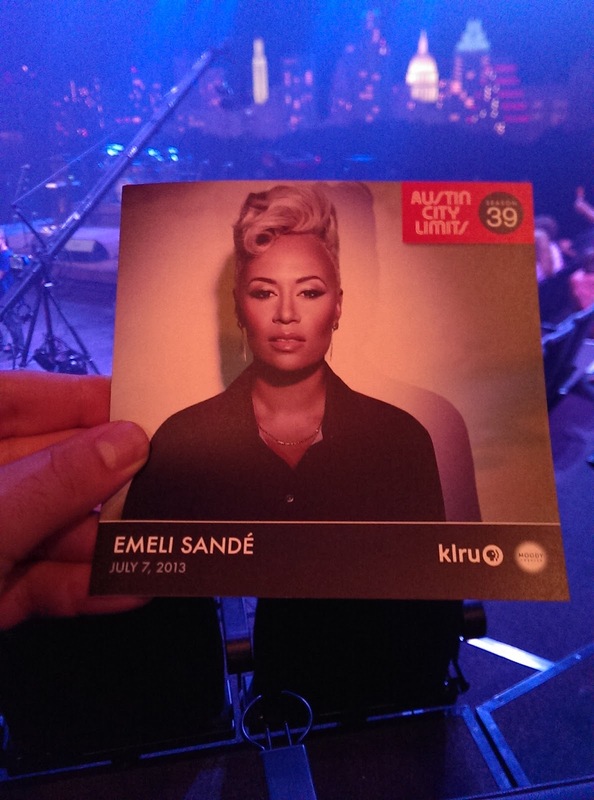 With hair like Roxette and a power suit straight out of Working Girl, Emeli Sandé commanded the Austin City Limits Television stage like a seasoned professional. Already a name overseas, tonight was the first time that Sandé had ever peformed in Austin and it's clear that she was waiting until she was ready for superstardom. 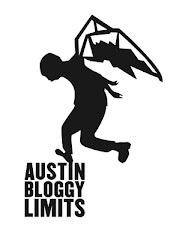 I am lucky enough to attend many ACL TV tapings and I have seen many amazing performances by some legendary performers but it is rare that I see an up-and-comer that shows as much skill as Emeli Sandé did tonight. I don't know if she will ever become a household name in the U.S. but regardless of how popular she does or doesn't become that doesn't change the fact that she is a superstar. Sandé's music is a style of pop that straddles many other pop sub-genres. It isn't hard to imagine Sandé murdering some 80's hair-metal power-ballads nor would I be surprised to hear her take us to church with a gospel number. Not to totally nerd out here but there were several points where the thought occured to me that she could write an excellent contemporary Broadway show. Her songs hit those visceral crescendos that pump the adrenaline through your blood and make you want to sing-a-long at the top of your lungs. These songs are arena-ready and so is this performer. For those of you who weren't at ACL-Live at the Moody Theater this evening and/or you weren't watching the live webstream on YouTube you'll get a chance to see part of Emeli's performance in the fall on your local PBS station. Her performance will be paired with Michael Kiwaniku, who is also from the British Isles and is also making pop music for grown-ups. American radio doesn't seem to really know what to do with pop music for grown-ups anymore but with the success of artists like Adele and Mumford & Sons there is hope for artists like Sandé, Kiwaniku and Lianne La Havas. In other words, America has outsourced its Adult Contemporary Pop music to artists from the U.K. who seem to be doing American music better than us right now. Don't worry America, I know you're out there making great music too. I'm just focused abroad at the moment.